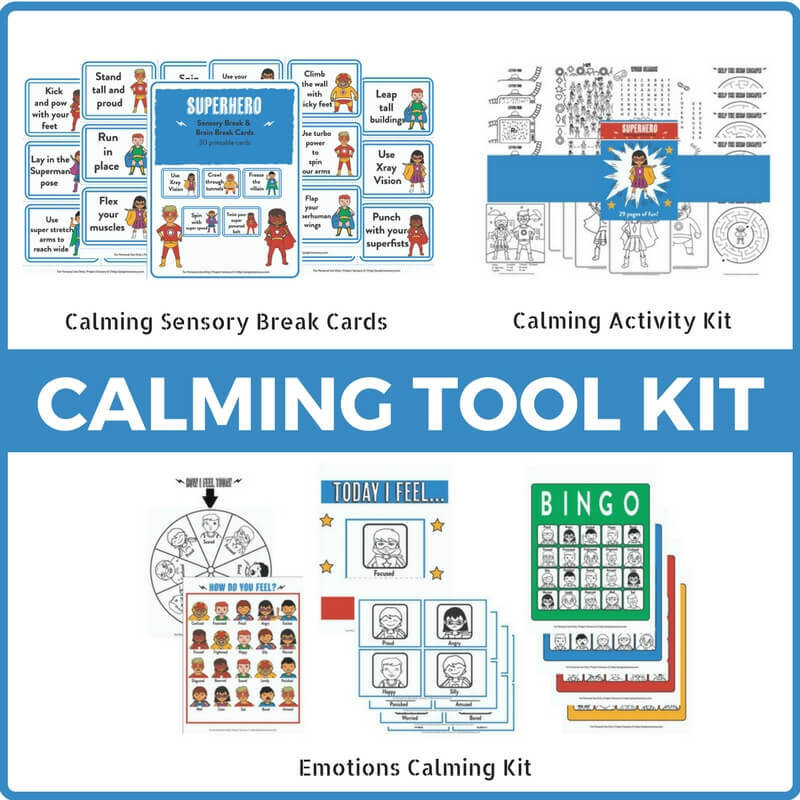 This Superhero Activity Kit has all the tools you need to help kids engage their minds, while giving their brains the sensory breaks they need. This kit was designed specifically to meet the sensory needs of children as they arise. Each section focuses on a different learning and development area to create a well-rounded kit to give you the tools you need. 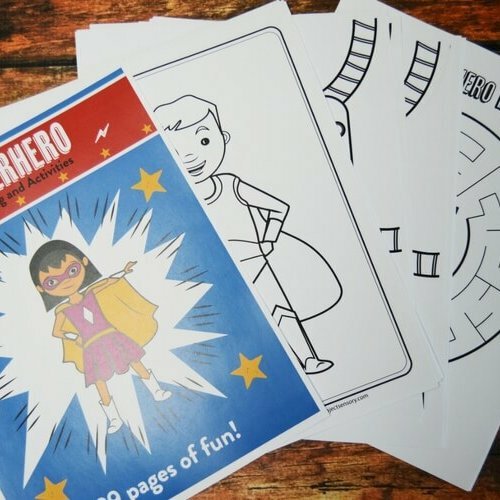 Superhero Coloring & Activity Kit – 30 pages. Superhero Emotions Kit – 17 pages. 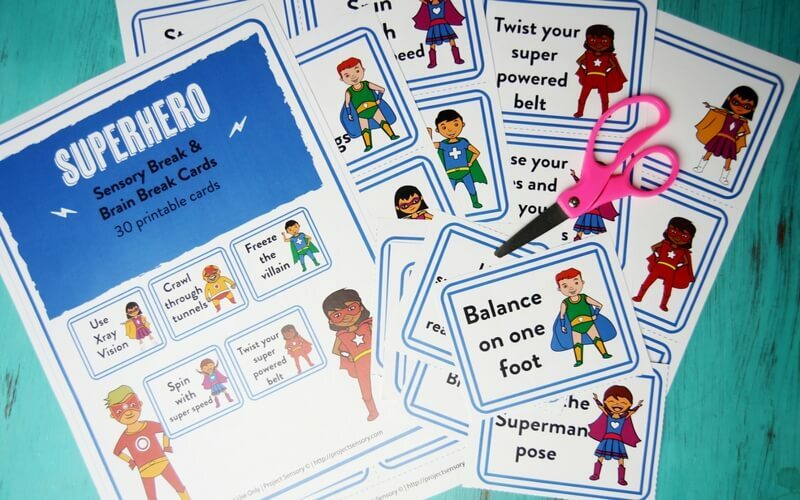 Superhero Brain Break & Sensory Break Cards – 8 pages. 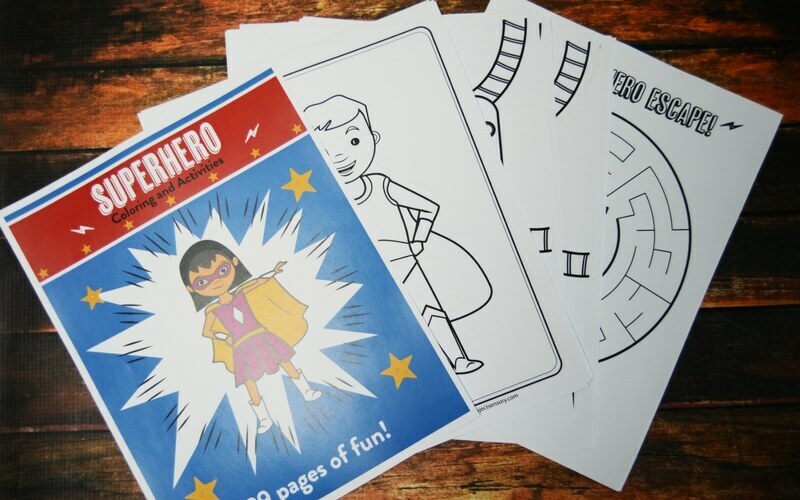 The Superhero Coloring & Activity Book is full of superhero themed coloring pages, mazes, I-spy, letter finds, color-by-number, matching games, and even a make-your-own superhero mask activity! Let your child’s creativity fly with these fun activities! 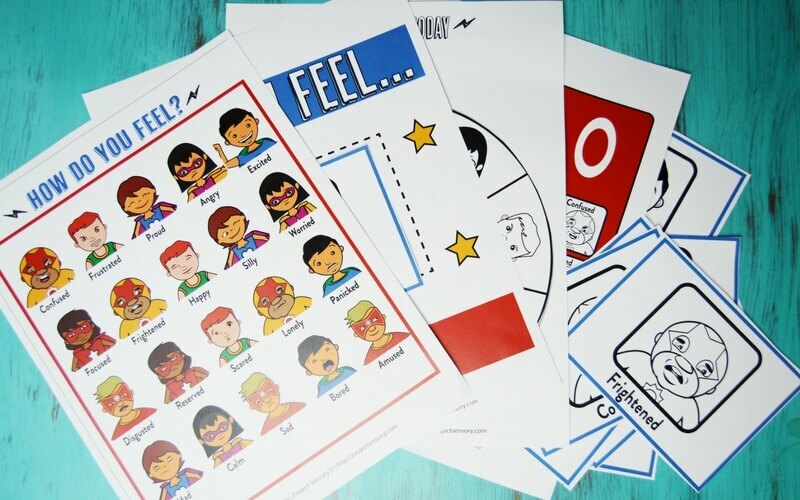 The Superhero Emotions Kit is packed full of activities and games to educate children about the difference and importance of identifying feelings in themselves and others. The kit includes seventeen pages of fun and interactive activities that reach across multiple age groups. 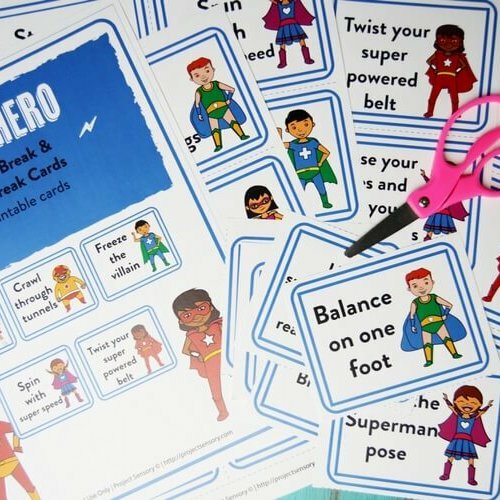 These printable Superhero Brain Break & Sensory Cards work well for all the little superheroes in your life! The movements are simple, so they won’t be stressful for your little one, but will help them to move like a superhero. If a child has been sitting for an extended period of time, give their brain a break! These movements will help kids run, fly, and karate chop their way through a guided brain and sensory break. The entire kit can be printed in color, or they look great in black and white as well. 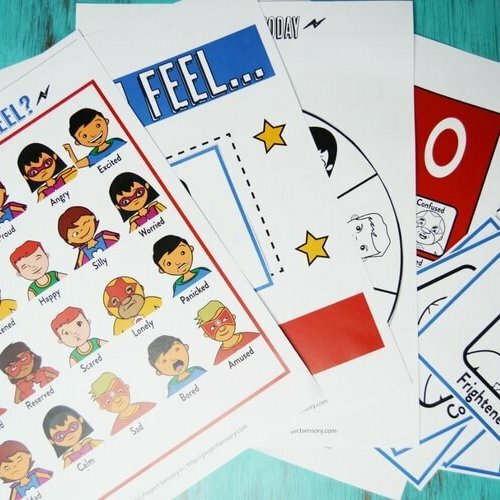 For activities that can be used over and over again, print on cardstock, and laminate them. Each sheet will print on a standard, 8.5” x 11” sheet of paper for ease of printing.